Thanks, debralinker, for including my chocolate mint plant in her treasury! Congrats! I love chocolate mint and I am catching a whiff in my mind. How could I NOT include you? Your FABULOUS! 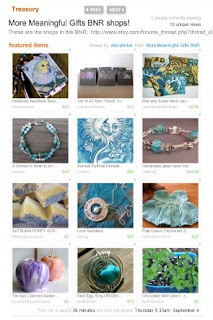 Thanks for posting about the treasury! Go MMG BNR!